Still 2015 is yet to finish and Google has started making plans for 2016, drastic algorithm changes are yet to come. This has really confused digital-marketer as they have to follow the search engines and change their strategies accordingly. Today, here we will discuss about some important SEO predictions that were discussed in a recent search marketing-conference. This blog post includes the predictions about content marketing, search ranking and SEO. 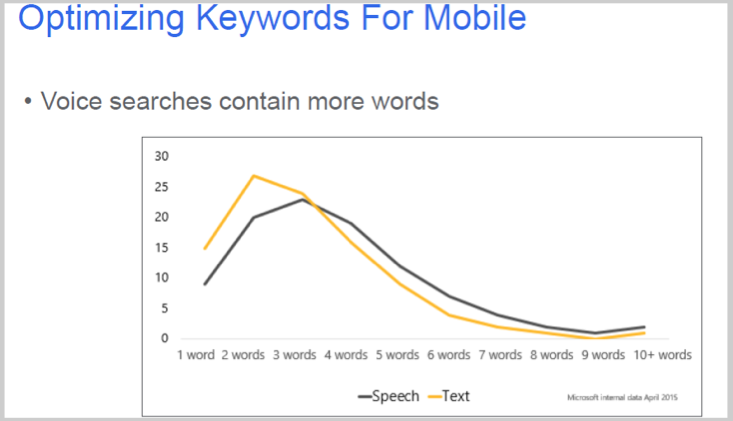 The future is Mobile: By 2016, mobile searches will surpass desktop. 2015 is just the beginning of mobile search. Till 2016, majority of searches, traffic and paid clicks will be generated via smartphones and tablets instead of traditional desktop medium.So, just making your website mobile friendly won’t serve the purpose. It’s necessary to take any decision from mobile point of view such as product based decisions and more. Review how your content will appear on the smartphone before actually finalizing the website, product pages, service pages and layouts. Make most use of Google Maps, Search and Google Plus: 50% of consumers browse the internet for eCommerce shops and view one on their smartphone in the entire day. Now days, apps have made easy for smart phone users to purchase things easily from their e-store.Consumers who search for store location using their smart phones visit a store within 5 miles and about 70% of consumers post reviews via smart phones. The increase in mobile search will have a huge impact on local businesses such as retail stores and hospitality venues like as restaurants, cafes. Voice search is slowly becoming popular: Voice search works like this. You need to ask like “Where is the nearest restaurant?” instead of typing “nearest restaurant”. Know how you started your search? Did you use the touch to open the search box or did you reply via voice search saying “Ok Google”.Voice search generally begins with question words like “Who, What, Where, Why and How? These question patterns will be useful in changing their search patterns on mobile devices. So, how these changes can be accepted? A little improvement is needed in the Local SEO efforts. Search results depend on many SEO factors like as product/service, reviews, local citation etc. All of these are important factors for getting your site rank high in search results. Every app should be made search engine friendly as now apps will be mostly available within Google’s search results because Google will now index app content as well. So, every business owner will now make sure that their app is available in search results thus making it more accessible to the users. Hence, mobile marketing strategy must be kept handy. If you wish to get such strategies developed then get in touch with Platinum SEO, Professional SEO in Melbourne and see more sales coming to your way.